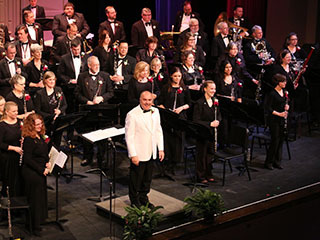 Fox Valley Concert Band – Each year the Fox Valley Concert Band performs formal Fall, Winter and Spring concerts, plus special Christmas concerts. In addition, the band stages a regular summer concert series performed in various area communities. 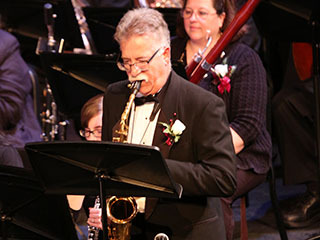 Each year the Fox Valley Concert Band performs formal Fall, Winter and Spring concerts, plus special Christmas concerts. 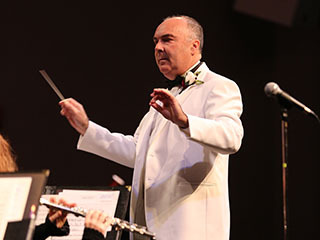 In addition, the band stages a regular summer concert series performed in various area communities. Keep up to date on current news and events. Advertise in the band's concert programs throughout the season. Click the link below to download a sample program and to purchase ad space. There are many ways you can support the Fox Valley Concert Band. Click the link to find out how. 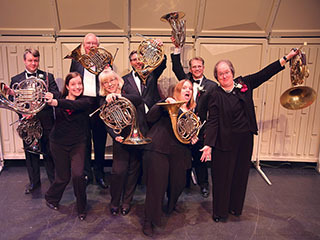 Interested in having the Fox Valley Concert Band perform at your event? Perhaps you're looking for a smaller group to perform?